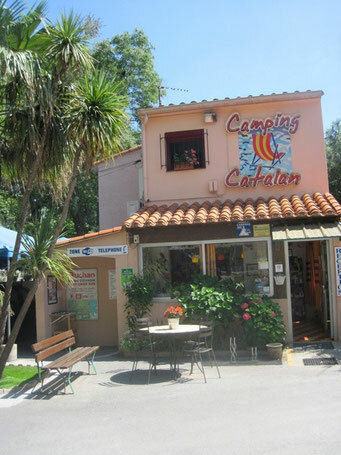 At the liveliest holiday resort on the coast: Argelès-sur-Mer and its huge beach at only 150 m, its shops at walking distance (50 to 200 m), its great variety of sport and free time activities a mere stone's throw away (100 m to 1 km). Family athmosphere in a charming campground by the beach. 71 shady pitches, electricity to European standard, bathroom and showers with hot water, clean and well-kept. 32 mobile homes for rent: quiet, beneath the trees, can sleep up to 4 people, offer great comfort. Washroom for small children and babies, with bathtub, shower, children's WC and changing table; washbasins, hair-dryer; for a small extra charge you may use the washing machine or dryer; handicaped bathroom. Recharge Station for Camping Cars (fresh and waste water).